Hearthstone’s upcoming expansion, Knights of the Frozen Throne, comes with some free missions – a first time ever for an expansion. Take them on and you can ascend the Frozen Throne and take on the Lich King himself. Here are all the Hearthstone Knights of the Frozen Throne cards revealed so far. The iconic Warcraft baddie is still the same cocky, fallen paladin he always was, but in Hearthstone his dialogue will obliterate the fourth wall. It’s like you’re taking him on personally. When you meet him at the end of the free mission, he’ll mock your deck, and even disrespect you. 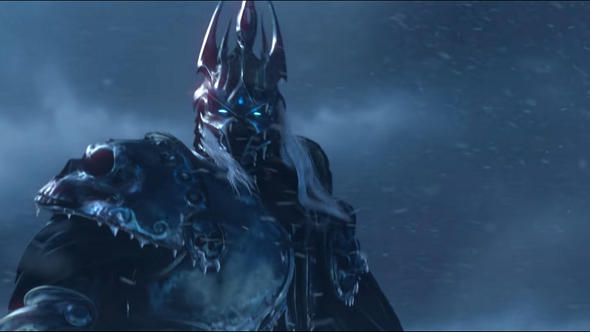 He’ll also cheat – or, as Blizzard say, “he plays by alternate rules.” The Lich King will torment you in a different way, depending on what class you take him on as. In essence, he’s nine different boss fights. If you’re a Mage, he sets your health to 1 at the start of the match. If you’re a Paladin, he will resurrect any of the minions he kills and turn them to his side. If you can do it with all nine heroes, you’ll unlock an alternate Paladin: young Prince Arthas, before he became the Lich King. Check all that out in the new video above, which also reveals a few new cards.